Our client, age 20, was at a party in Gardena. It was a loud party and neighbors called the police. Police knocked on the door and our client, with others, answered the door. Police ordered everyone attending the party to leave the house. Accordingly, our client and her friend went to their car, which was parked right in front of the house with the party. Our client and her friend sat in their car to eat some food they had and to talk. Their car was parked legally. Why This DUI Summary Matters: It is still possible to resolve a second-time DUI with a 0.10% BAC for a client under age 21 as a wet reckless, but counsel must find facts within the case that a prosecutor will agree are problematic and could mean a dismissal of the case or at least jury skepticism of the evidence. This case had both factors. 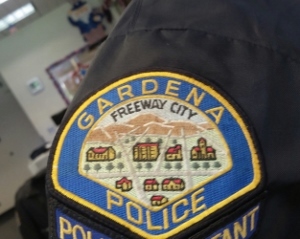 Gardena Police Officers came up to our client’s car and recognized her as one of the party-goers. Despite our client having complied with the police orders to leave the house and despite being legally parked, police ordered our client to drive away. Our client was on DUI probation from her first DUI. She did not want to disobey orders, but she was also concerned about being DUI again. Our client followed police orders. The police followed her. Our client was extremely nervous, so she made sure she stopped at each stop sign and drove straight. She was exceedingly deliberate in this regard, as she knew the police behind her were watching her carefully, perhaps eager to make a traffic stop and then an arrest for DUI. No less than about a quarter mile away from where she left the party, police made a traffic stop of our client. The client’s blood alcohol content was 0.10%, or double the legal limit for driving when under age 21. The police report claimed our client ran two stop signs and also was wearing on the road. It was lies. At the DMV hearing, our client and her friend testified about being entrapped into driving and how the police report was false. However, the DMV believed the police report, commenting that our client and her friend were less credible than the police officer. Greg Hill ordered a copy of the transcript of the DMV hearing and provided it to the Torrance District Attorney assigned to the case. He also provided the DA with photographs of the location where our client was parked legally before being ordered to move by the police. The District Attorney reviewed the transcript and agreed that the traffic stop was improper, as well as indeed possibly entrapment. However, the judge assigned to the case was a tough judge who Greg Hill realized would probably deny a motion to suppress evidence. Greg wanted the judge to rule that the search of our client’s breath was a Fourth Amendment violation (an illegal search and seizure) because the traffic stop was not based on a legal reason, such as observing the violation of a Vehicle Code section. The District Attorney also knew this, so he offered our client a “wet reckless” with first-time offender DUI terms. This was too good a deal for our client to pass up, as she avoided the 18 month DUI program (called the SB38 program) and at least 96 hours in country jail. She also avoided an ignition interlock device (IID) obligation from the DMV upon conviction for a DUI. She was very happy to avoid these conditions. Instead, she was ordered to thirty-six months of informal, or summary, probation, contingent upon paying a $390 fine, plus penalties and assessments, attendance at and completion of a three-month AB541 first time offender alcohol awareness program, as well as, due to her age, attendance at a Mothers Against Drunk Drivers (MADD) Victim Impact Panel (VIP) and a Hospital and Morgue (HAM) Program, plus payment of a $220 booking fee to the City of Gardena. The underage client was happy to receive a wet reckless on a second DUI while still on probation for her first DUI.